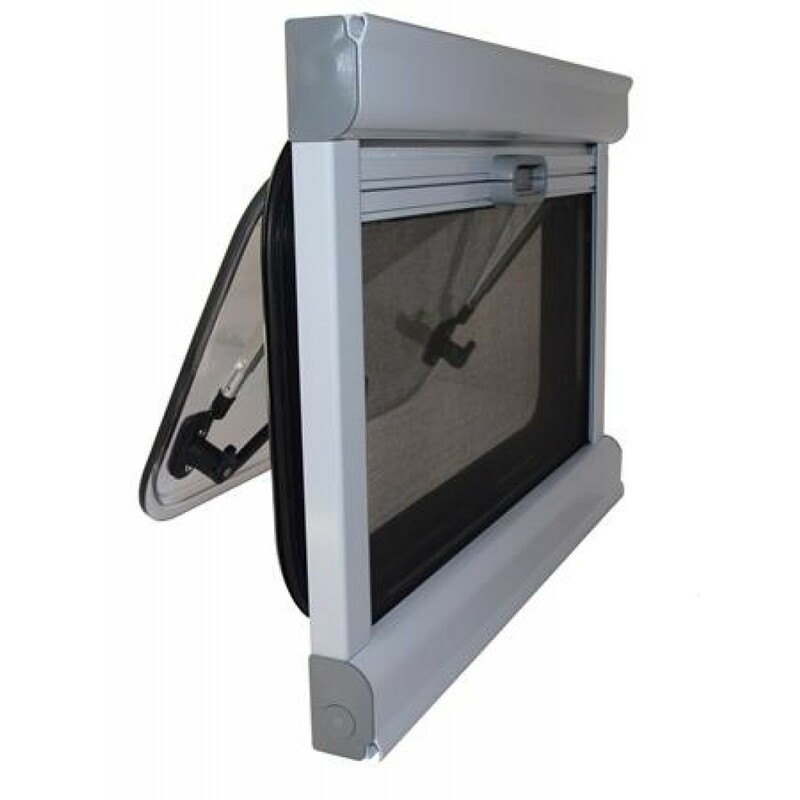 The Eurovision double glazed caravan windows with internal blinds are suitable for use in motorhomes, caravans and are ADR approved. 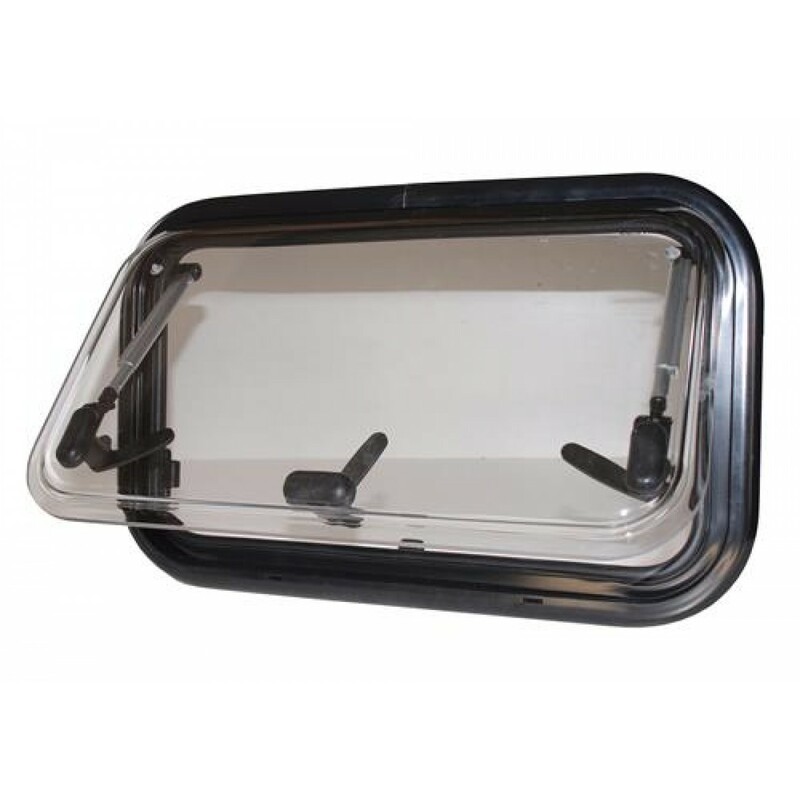 European in appearance the Eurovision windows are the first choice for many caravan manufactures and are available off the shelf for immediate delivery. 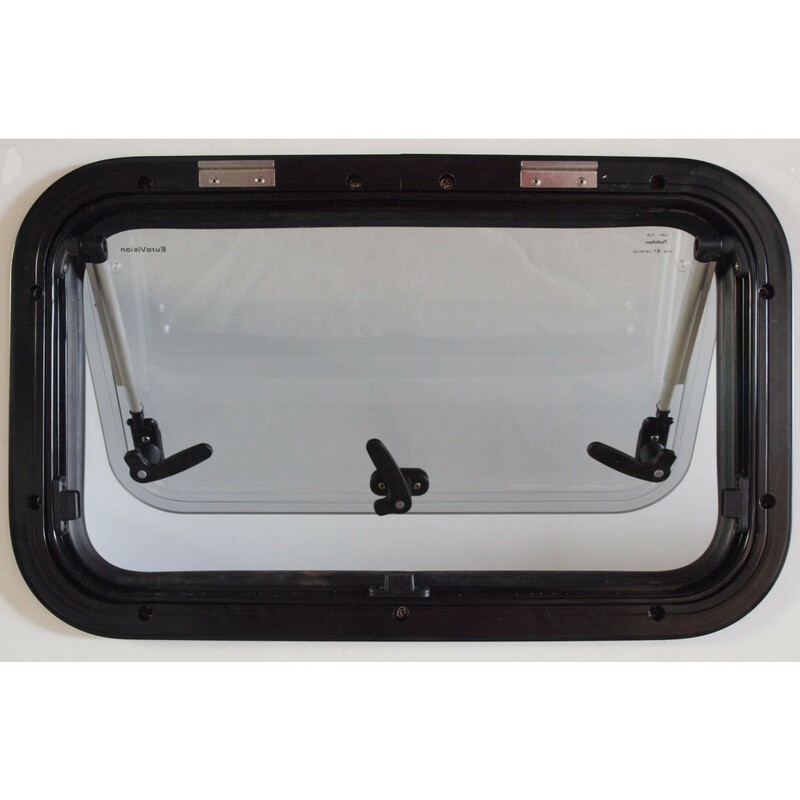 Suitable for installation in either caravans or motorhomes, the screwless clamp style design provides a simple and secure fixing method, combined with the easy fit internal blind and insect screen assembly. 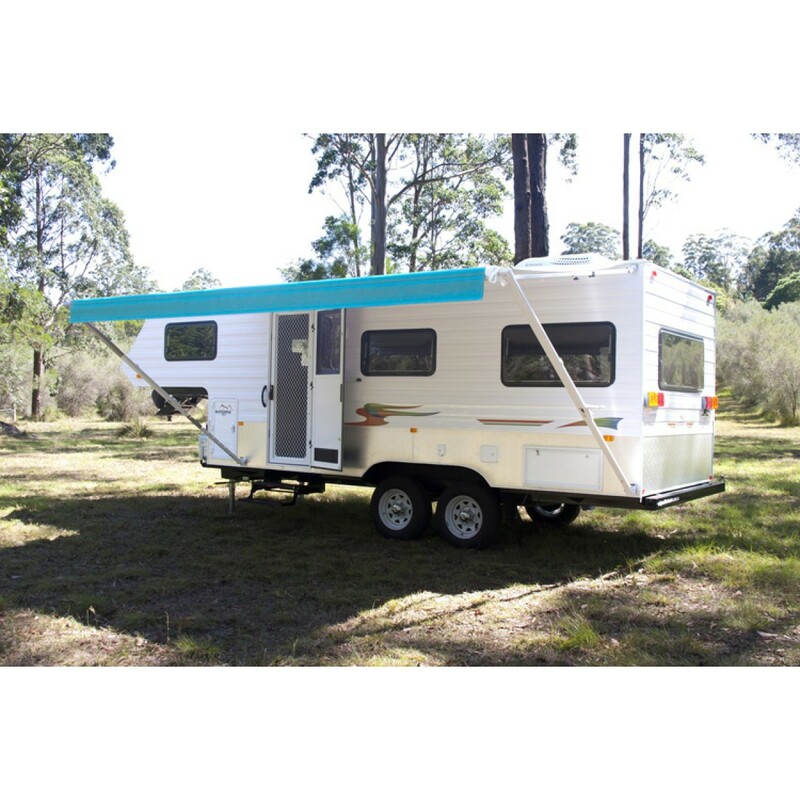 The Eurovision windows will complement all caravan or motorhomes. Each window blind system has a built in track to accept the option of a curtain track assembly which can be supplied separately if required. 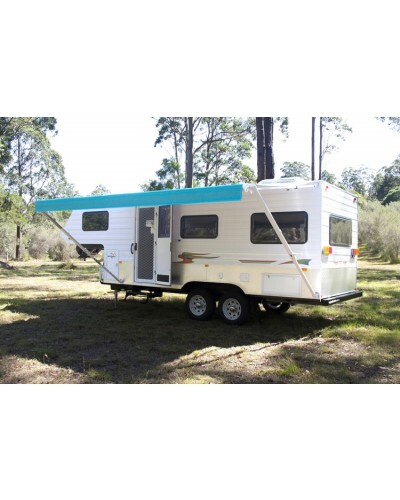 Choose from our wide range of EuroVision Caravan and Motorhome double glazed acrylic windows. 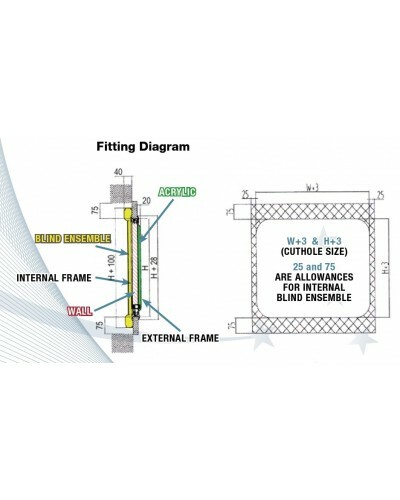 Grey, double glazed acrylic panel, UV resistant, certified to European ECE standards. Pull down block out blind with reflective backing. 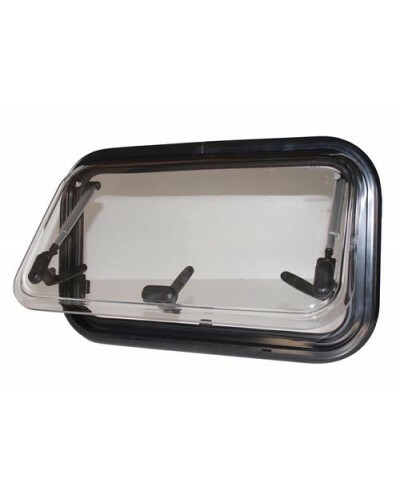 Three stage opening position on all windows greater than 300mm and two stage up to 300mm. 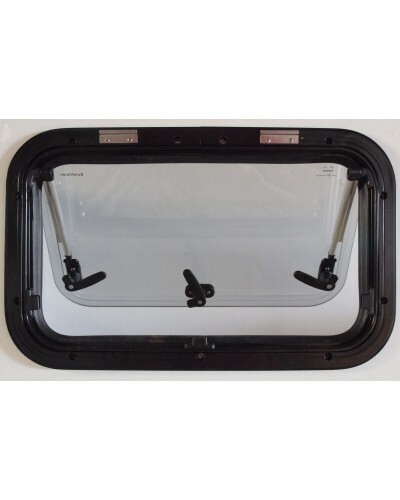 All windows are equipped with a semi lock position for ventilation during windy conditions while parked. 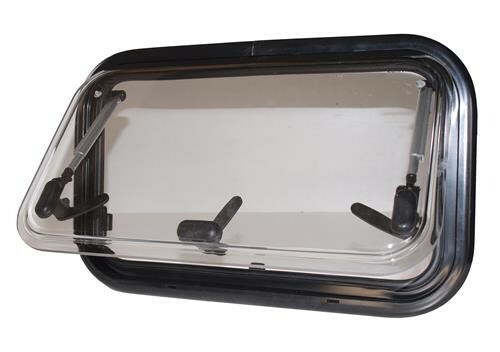 Blind system can be activated individually or locked together and positioned as required. 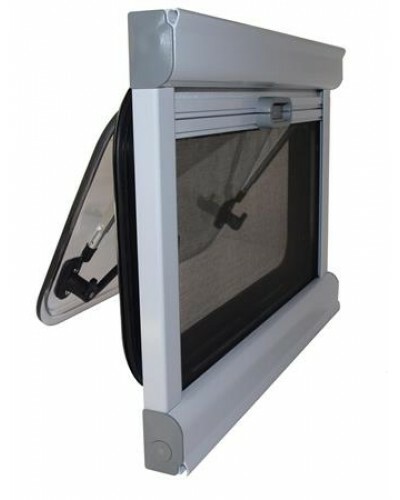 Windows are ADR approved and can be used on motorhomes. 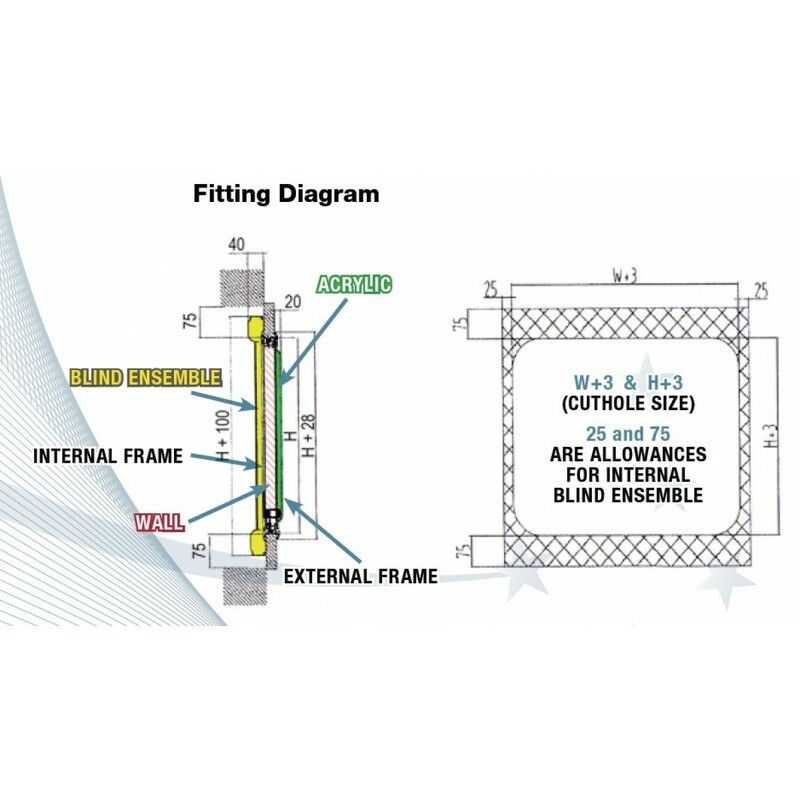 25mm clear space must be provided above the top of the blind system for installation purposes. 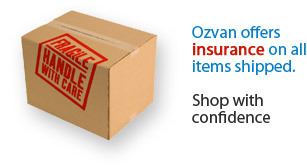 For the hole cut out size add 3mm to the height and width measurements provided in the item description.